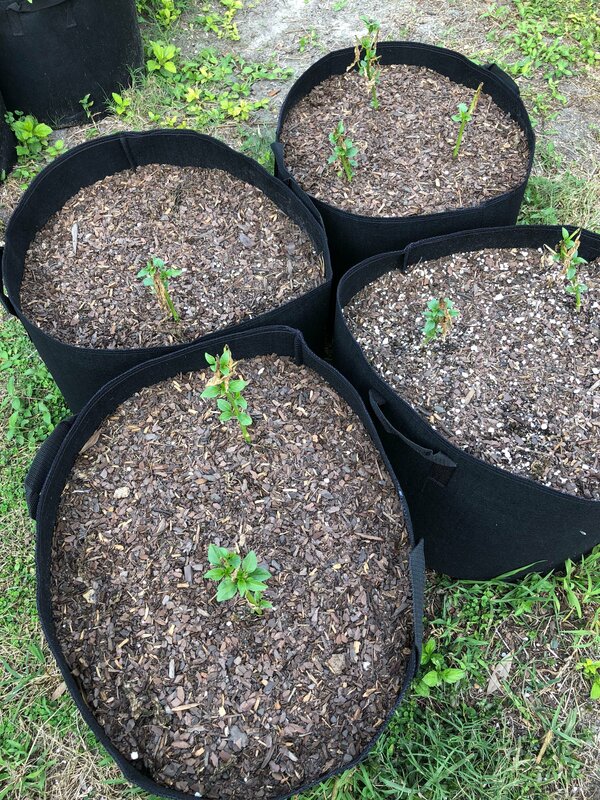 Will a few minutes a day growing and eating food in our gardens help us feel better today, prevent most of the leading causes of death, and give us delicious tasting food to eat with a direct connection to the Earth? For me the answer is a big YES especially after reading the book How Not To Die as recommended by my Uncle Joe who is a medical doctor with his own practice and asks all of his patients to read it on his first visit. Executive summary for How Not To Die: A whole plant based diet (fruits, vegetables, beans, nuts, whole grains, herbs, and spices) has been proven in hundreds of studies to prevent all 15 of the top causes of death AND in my experience helps me avoid 90% of bad moods especially depression AND helps me maintain a ridiculously high energy level all day every day. 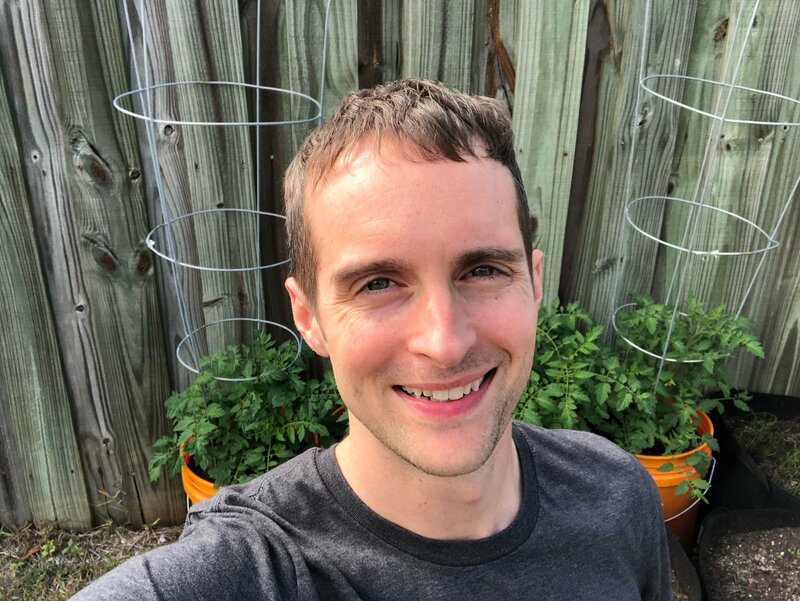 To begin, here is a look at me with my tomato plants in the background and cages to help them grow higher! 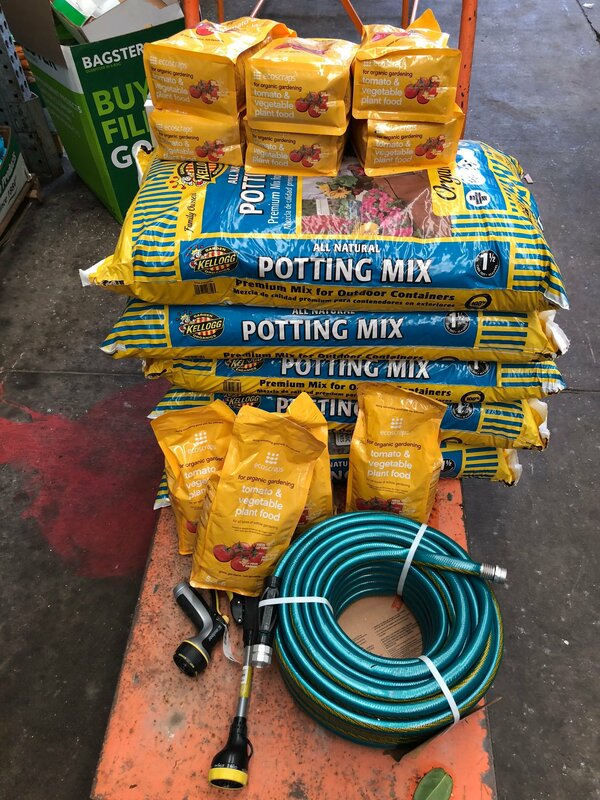 After beginning my garden and starting to scale it up, I made several more big trips to Home Depot for a new hose, fertilizer (plant based), more soil, and a composter! 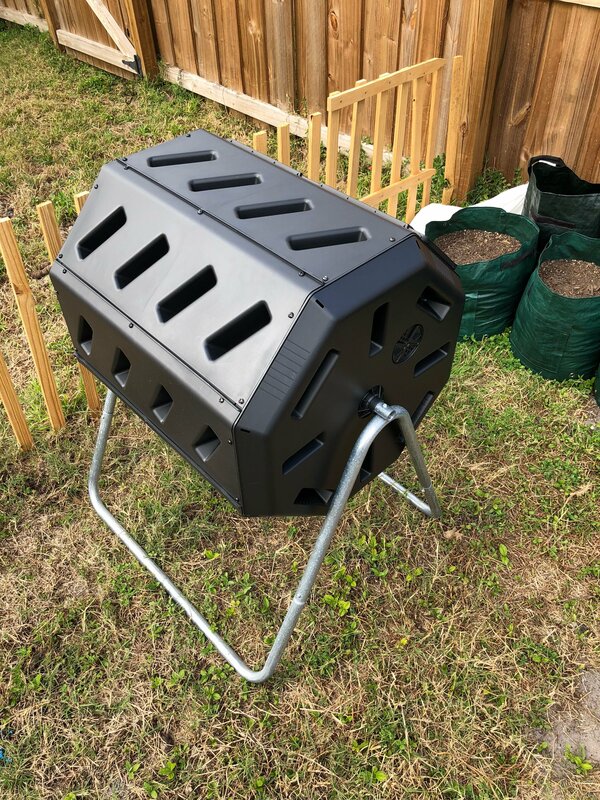 I also ordered a worm bin for additional composing because we a garden as big as we are making and with as many fruits and vegetables as I eat, we have a large capacity for composting! 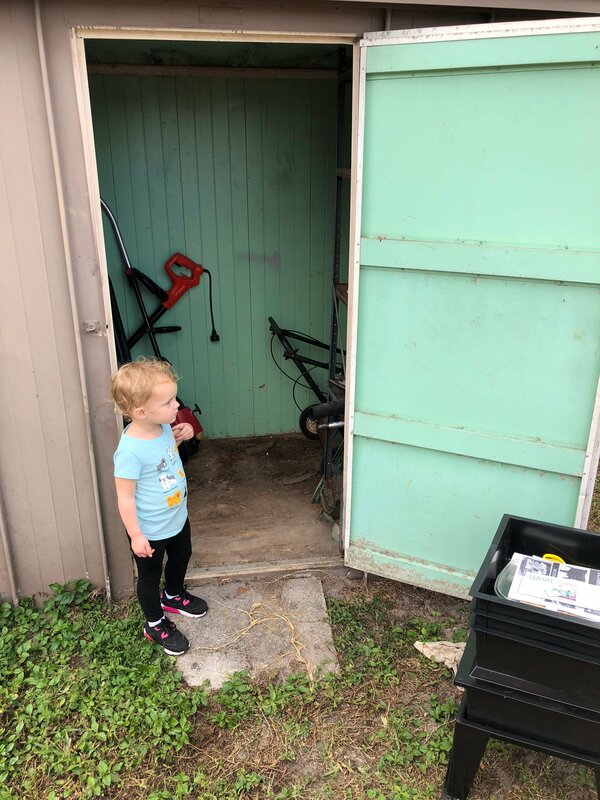 Madeleine helped me hold the door open for the shed where the worm composter is! 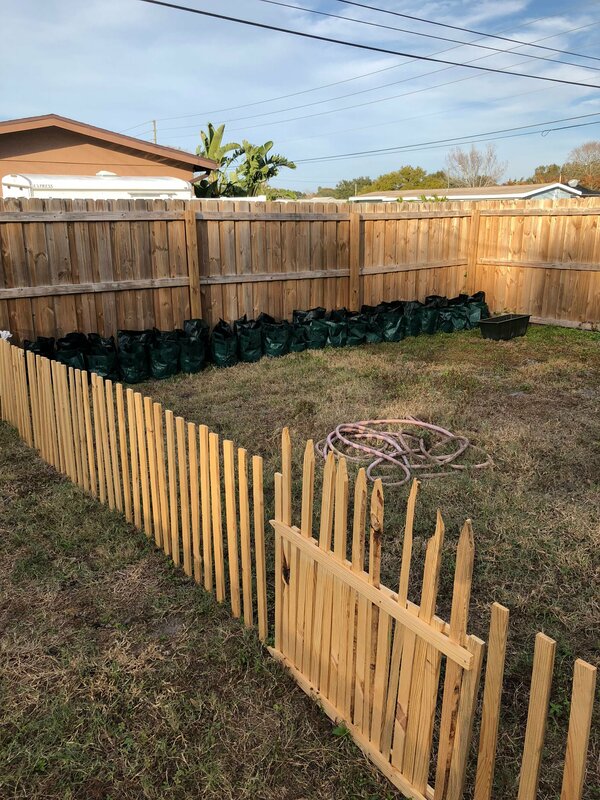 After building my own fence in the last post to keep the dogs out, I added a whole new section of the garden to plant potatoes and carrots! 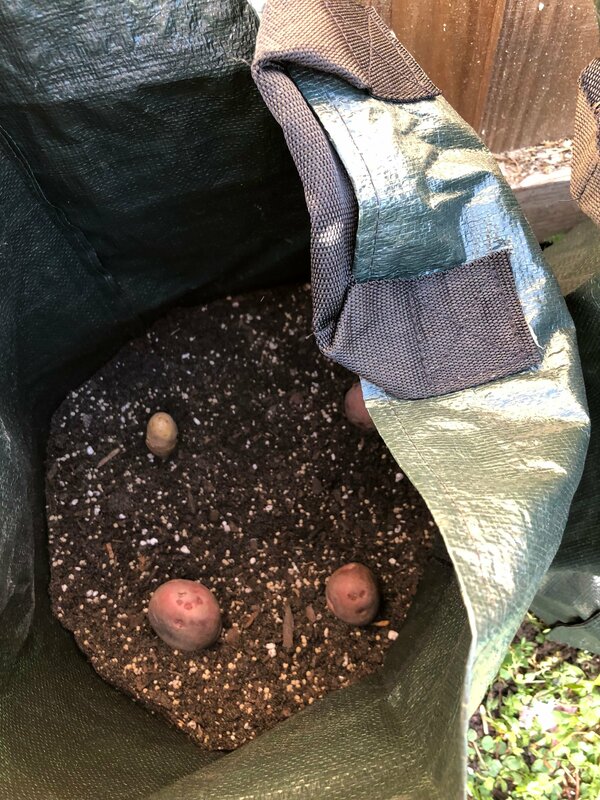 A look inside one of the potato bags. 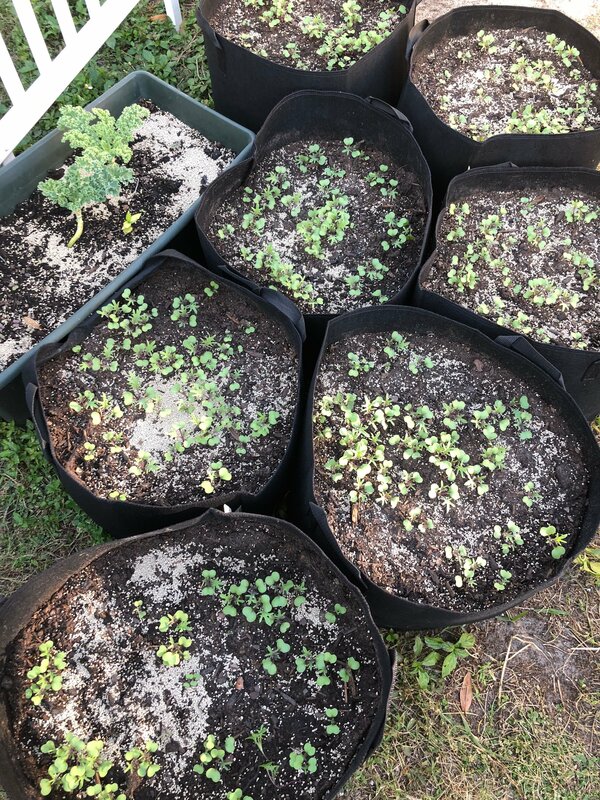 On the other side of the garden, we added the fertilizer to the kale plants to help them grow. I feel the same way as Madeleine as I try to get everything planned perfectly. 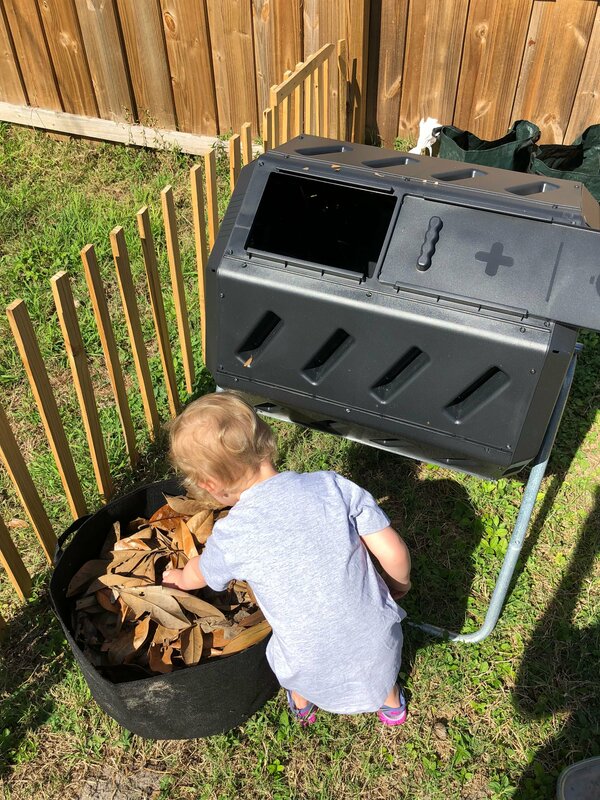 Building the composter took a couple hours one Sunday listening to an electronic dance music video on YouTube recommended by a friend. Madeleine helped me fill up the first side with leaves and we started adding the extra parts of our fruits and vegetables right away! A few weeks later, the kale starts to come up and we begin eating it right away straight off the plant! 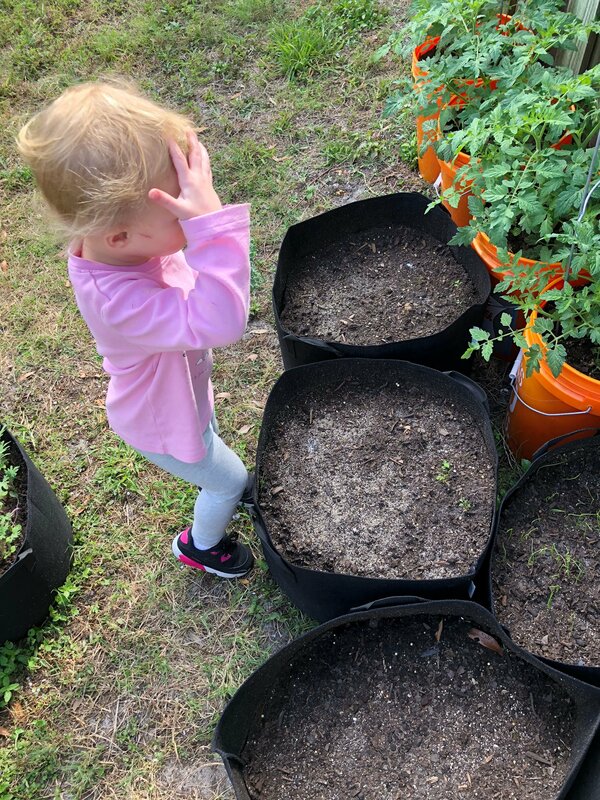 Meanwhile we actually hit a low near freezing one night in Saint Petersburg, Florida which left the pepper plants looking like they just heard one of my songs. 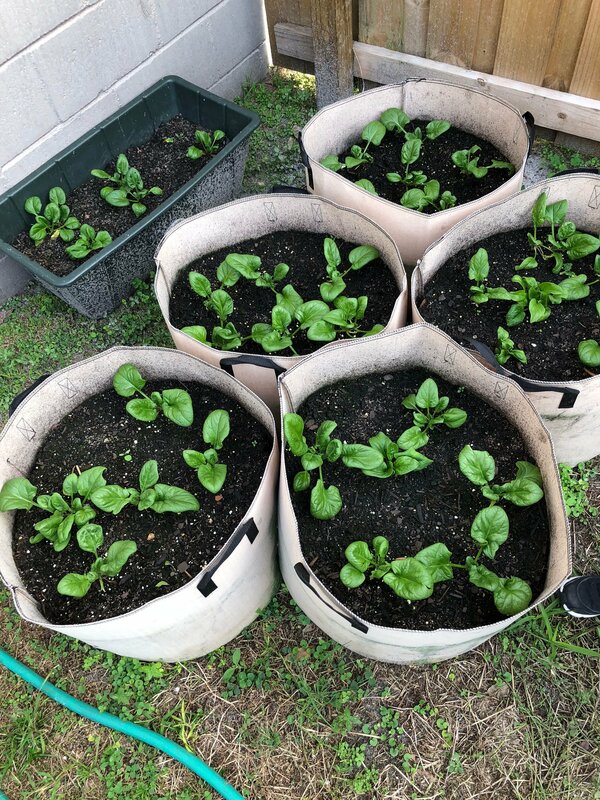 Just before bolting, the spinach plants were producing like crazy and were delicious to just pick straight off and eat! 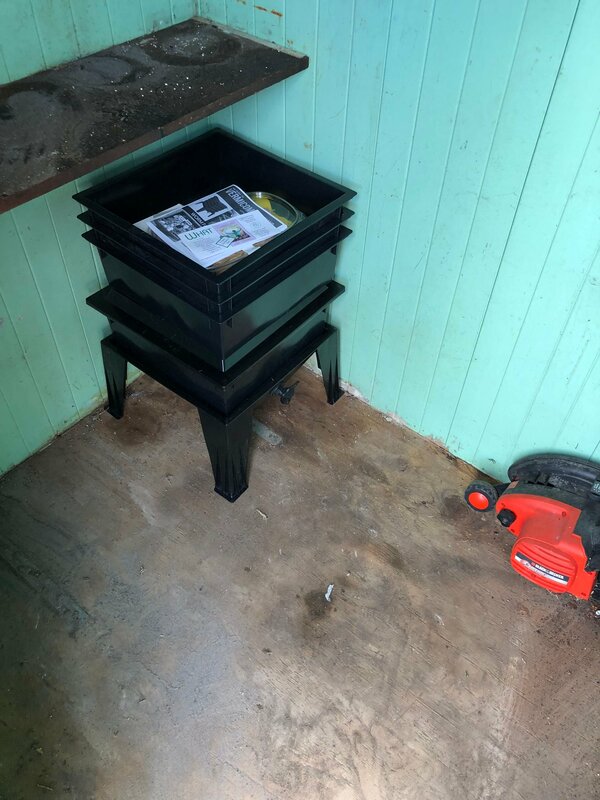 Thank you to each author on Steem that inspired me to start my own garden and now spend time in it every day! 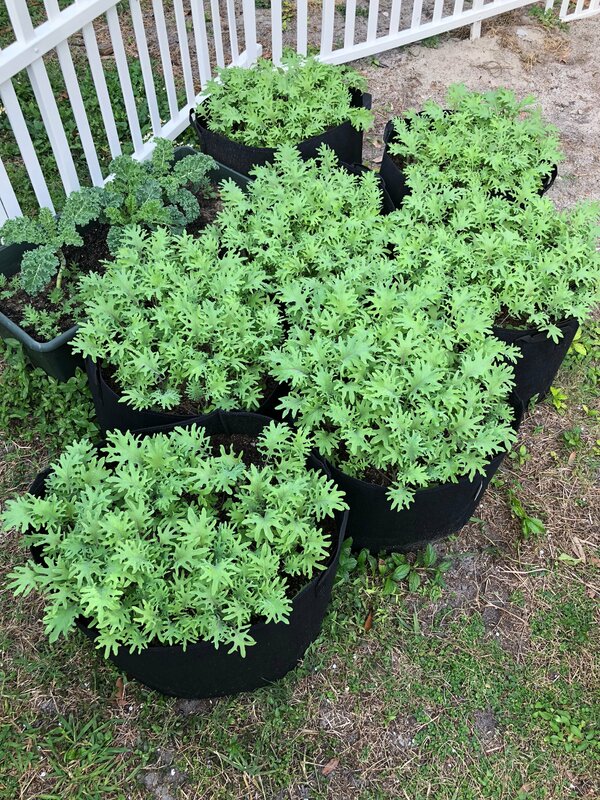 I am amazed at what a rewarding hobby this is from the beginning and am grateful I will soon have more updates for you from the garden!